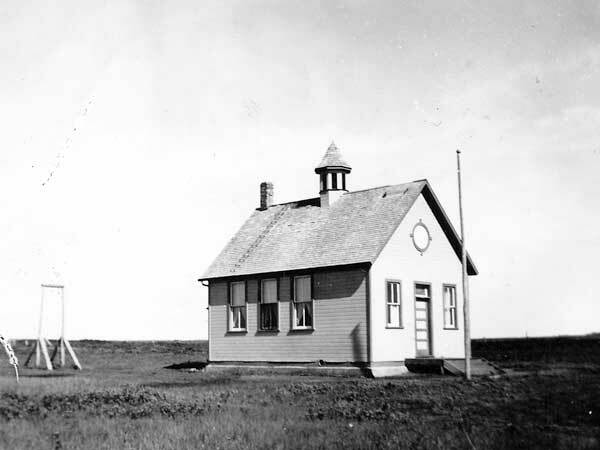 The Dundonald School District was established in December 1904 and a wood frame school building was constructed by brothers Henry and Alfred Kirkwood at NE16-3-8W in the Rural Municipality of Portage la Prairie. It closed in 1960 due to declining student enrollment and the district was eventually consolidated to form the Macdonald Consolidated School No. 2401. The following year, the school building was sold to a local farmer and moved to his farmyard where it was used as a garage and workshop. There is nothing remaining at the former school site. Among the teachers who worked at Dundonald School were Miss Moffatt, Miss Morris, Miss Langford, Beatrice Sissons, Myrtle Elgert Burton, Ruth Kenner James, Mrs. W. McCartney, Lillias Stewart Skatfield, Margaret Coubrough Kitson, and Miss K. Morrison. GR8461, A0233, C131-2, page 98.